Posted February 9, 2019 at 5:05 pm . 0 comments. 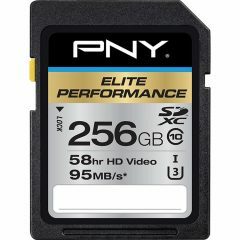 Amazon has a deal of the day on PNY Elite memory cards, they are discounting their 95 MB/s UHS-I speed class 3 cards. This deal is today only, until midnight PST tonight (3 AM EST tomorrow).